Sponsorship Disclosure: A huge thanks to Green Dot and Visa Clear Prepaid for working with us to bring you this content. I’m the first to admit that I’m not always faithful to my personal budget. While I’m frugal by nature, I have weak spots, like the occasional nice meal out or live sporting event. Some months, these vices make it harder for me to reach my financial goals. The consolation is that I’m far from being alone in this predicament. For numerous reasons, many consumers find it difficult to stick to their monthly spending budgets. But what if there were another way? Believe it or not, there is another way. For many consumers, including yours truly, a reloadable prepaid debit card can make it easier to maintain discipline and control spending. Prepaid cards aren’t credit cards. They’re also not traditional debit cards, which are tied to your bank account and thus have access to all the funds contained within. Prepaid cards start with a zero balance and must be loaded with cash before being used for purchases, bills, and other expenses. When the card’s balance drops to zero again, you can’t use it until you load more funds onto the card (similar to a gift card). In other words, all prepaid cards have a built-in brake on spending. That makes it easy to load the card with only the funds you need to cover your day-to-day expenses for a given period, usually a week or month, and reduce the risk of overspending. With this in mind, a prepaid card is ideal for managing the day-to-day expenses you deal with over the course of a typical month, including groceries, clothing, utilities, and entertainment. You can use your prepaid card at any merchant or service provider that accepts the card’s marque, i.e. Visa (in other words, a Visa-branded prepaid card is good anywhere you see a Visa logo at the register or online checkout page). Accordingly, for some it can be a suitable replacement for a traditional debit or credit card. Moreover, many cards have online, mobile-friendly account dashboards that replicate bank account dashboards, allowing you to perform basic functions such as money transfers and balance checks. However, prepaid card balances don’t earn interest, so your card isn’t a suitable replacement for a savings account. In fact, aside from medium-term expenses, such as vacations and holiday shopping, it’s not advisable to use a prepaid card to save money at all. For emergency funds, education savings, and retirement savings, other vehicles – such as traditional savings accounts and IRAs – are better-suited. I recently took the plunge into monthly expense budgeting with reloadable prepaid cards. I sized up the pros and cons of using prepaid cards to control spending, took a hard look at my personal day-to-day expenses, and teamed up with Visa Clear Prepaid to sign up for the Green Dot® Reloadable Prepaid Visa® Card, one of several cards part of the Visa Clear Prepaid program. After a brief learning period, I created and completed a 30-day budgeting challenge that saw me using my Green Dot® Reloadable Prepaid Visa® Card for my day-to-day household expenses over the course of a month. Here’s what I learned before, during, and after this personal finance adventure. When you first get your card, you need to load it with cash. There are several ways to do so. 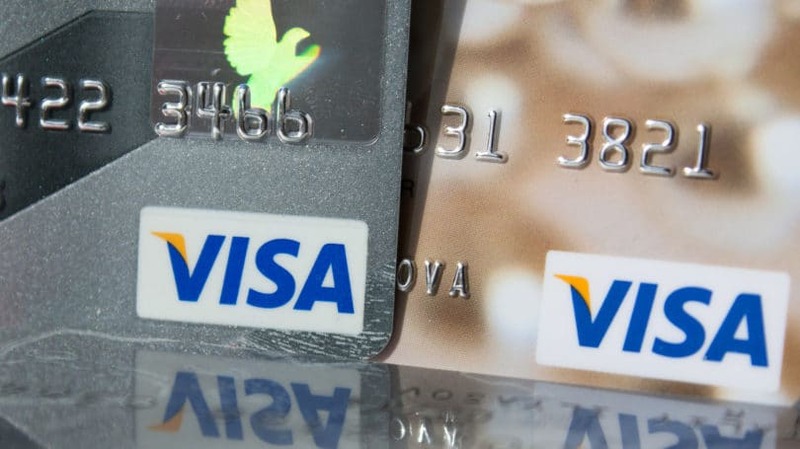 Some issuers, including Green Dot and others in the Visa Clear Prepaid program, waive fees for the first load, regardless of how it’s accomplished. For subsequent loads (known as reloads), fees sometimes apply. These vary by card issuer, card type, and load method. Direct Deposit. Direct deposit from an employer or other income source (such as university or government agency) is usually the cheapest method. Importantly, many cards (including those within the Visa Clear Prepaid program) give you the option to deposit part or all of your paycheck onto your card, so you can control the exact amount you receive – and thus the exact amount you can spend – each pay period. In-Store Deposit. Bring cash to the register at a participating retailer, swipe your card, and be on your way (known as Reload @ the Register). The typical cost is $4.95 per load. Check Deposit at Walmart. You can bring a pre-printed check (such as a paycheck or government benefit check) to participating Walmart service counters and deposit the balance directly onto your prepaid card. Check Walmart or your card issuer’s website to determine whether your local store offers this service. Walmart check cashing fees apply. Online Transfer From Another Prepaid Card. Some prepaid issuers, including Green Dot, allow you to transfer funds from another prepaid card through your account dashboard. This is great if you have multiple prepaid cards or want to receive money from a friend or colleague who also uses reloadable prepaid cards. These transfers are usually free. (They’re always free with Green Dot cards.) However, you do have to pay other fees (such as purchase and monthly maintenance fees) on each additional card. Bank Account Transfer. You can transfer directly from your online payment account by providing your account number or debit card number. There’s typically a delay of one to three business days with this method. In addition to load/reload fees, prepaid cards come with certain other fees. Many are common to traditional checking accounts and debit cards. Since it’s in your financial interest to minimize your exposure to these fees, opt for a prepaid card that’s transparent about when to expect a fee and when not to in the course of your normal budget spending. For instance, cards part of the Visa Clear Prepaid program – including my Green Dot Reloadable Prepaid Visa Card – have clear fee schedules covering all potential fees. Card Purchase Fee. Depending on how you obtain your card, you may be charged a purchase fee that ranges from $2 to $5, depending on issuer and purchase location. Online purchases generally don’t come with a fee. For instance, Green Dot’s in-store purchase fees range from $2.95 to $4.95, but online purchases are free. Monthly Maintenance Fee. Virtually all prepaid cards charge a monthly maintenance fee, similar to the checking and savings account maintenance fees charged by some banks. Fees are typically in the neighborhood of $5 to $6. My Green Dot® Reloadable Prepaid Visa® Card’s is $5.95. Out-of-Network ATM and Bank Teller Withdrawals. Many prepaid cards, including those that are part of the Visa Clear Prepaid program, belong to fee-free ATM networks that waive fees for cash withdrawals. However, like most banks, card issuers typically charge for out-of-network withdrawals. These fees usually range from $2 to $3. Green Dot charges $2.50. Some prepaid cards also charge for in-person cash withdrawals at bank branches. Green Dot charges $2.50 for this service as well. Balance Checks. If you need to check your card balance at an ATM, you may have to pay a small fee. For instance, Green Dot charges $0.50 per balance check. You can avoid this fee by checking your balance from your mobile device, which is always free. Lost Card Replacement. 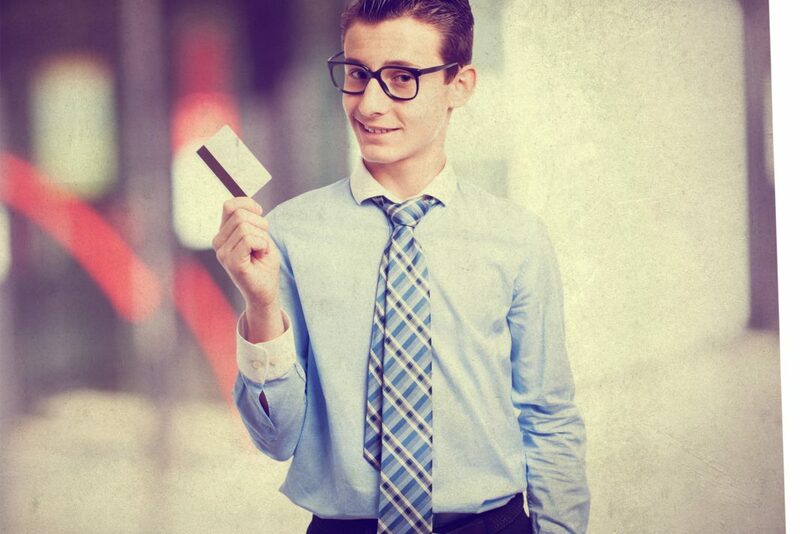 Most issuers charge for lost card replacements. These fees typically range from $4 to $10. Green Dot’s is $4.95. Foreign Transactions. Like credit card issuers, prepaid card issuers often add an extra charge for transactions made outside the United States, typically assessed as a small percentage (2% to 4%) of the transaction total. Green Dot’s foreign transaction charge is 3% of the total transaction amount. It’s important to note that some prepaid cards may also reduce or waive these fees altogether when you make a minimum number of monthly transactions, carry a minimum balance, or meet other qualifications. For instance, my Green Dot® Reloadable Prepaid Visa® Card’s monthly maintenance fee is waived when I maintain a minimum balance of $1,000 or make 30 transactions per month. Most issuers allow you to sign up for your card online. That’s how I signed up for my Green Dot® Reloadable Prepaid Visa® Card, a process that took me only five minutes. To sign up online, simply navigate to the card issuer’s website and follow the prompts. You need to enter basic personal information, including your name, contact info, and Social Security number. You also need to create a username, password, and security questions so that you can access your account. After completing the sign-up process, you’re given a temporary card number and told when to expect your physical card in the mail (generally one to two weeks). Before exiting the sign-up wizard, you can also print a direct deposit form to give your employer or deposit funds from an outside account or card. The big drawback of online sign-up is that you don’t get a physical card right away, though you can use your temporary number for online and in-store purchases (in-store, the cashier simply has to punch the number in manually). The big advantage is the lack of a sign up fee. Cards that are eligible for the Visa Clear Prepaid program are available at multiple national retail chains, including 7-Eleven, Walmart, Kmart, Rite Aid, CVS, Walgreens, Family Dollar, and Dollar General. Bring your initial load in cash and instruct the clerk to add it to the card balance, less any purchase fees. You’re then given a temporary card, with a permanent card to follow in the mail in one to two weeks. It’s important to note that with both online and in-store card purchases, your temporary card’s balance automatically transfers to your permanent card upon arrival. You don’t have to worry about spending every last cent on your temporary card before it comes in the mail. After receiving your temporary card – and again after receiving your permanent card – you need to register and activate it before making purchases. Simply visit your card issuer’s website and follow the prompts. For the Green Dot® Reloadable Prepaid Visa® Card, you just select “Register/Activate,” then select how you got your card (online or in-store). Provide the card number, security code, and your personal information. You may be asked to provide a PIN and security questions if you haven’t already. As soon as your temporary or permanent card is registered and activated, you can begin using it right away at any merchant that accepts Visa cards, including utility providers and other bill issuers, and to withdraw cash at ATMs or bank branches. Many reloadable prepaid cards come with multiple reloading options. For instance, among other methods, the Green Dot® Reloadable Prepaid Visa® Card allows you to reload your card via direct deposit (from an employer or other income source), cash deposit at a participating merchant, bank account transfer, and transfer from another prepaid card. Direct deposit is free, whereas other reloading methods come with fees that can range north of $6 per load. In fact, direct deposit is among the cheapest reload options for many reloadable prepaid cards. It’s also the most convenient, since it comes directly from your income source and doesn’t require the intermediary step of obtaining cash or arranging an electronic funds transfer. If you’re constantly on the go, it’s nice not to have to worry about penciling in another obligation on your crowded schedule. Most reloadable prepaid debit cards allow you to withdraw cash at ATMs. But not all belong to extensive fee-free ATM networks that don’t charge for withdrawals. If you regularly require cash, or even if you just make the occasional ATM withdrawal, make ATM network membership a key consideration. Signing up for the Green Dot® Reloadable Prepaid Visa® Card paid off big time in this department, as I now have fee-free access to more than 20,000 MoneyPass ATMs. Other cards part of the Visa Clear Prepaid program belong to similarly broad networks: for example, the PNC SmartAccess® Prepaid Visa® Card has fee-free access to more than 7,300 PNC-branded ATMs. It’s hard to use prepaid cards to maintain financial discipline if you don’t have a clear handle on your day-to-day expenses. The best way to ensure that you do get this handle, even as new expenses arise or disappear, is to account for your most important expenses before moving on to less-critical areas of your budget. Recurring Bills. First, set aside your recurring monthly bills, both fixed and variable: rent or mortgage, cable, Internet, electricity, gas, water, childcare, and so on. Since you know exactly or about how much each of these sets you back, you can pen their actual costs into your budget ahead of time (with some wiggle room for variable expenses, such as electricity and gas). Purchase Expenses. Set out what you expect to spend on purchases each month. Split purchase expenses into two categories: essential and discretionary. The former includes things like groceries, clothing, school or work supplies (including electronics), and transportation. The latter includes things like entertainment, personal electronics, and non-professional dues (such as gym memberships). Though your budget hopefully has room for some discretionary spending, focus on essential spending first. Special Budget Categories. Lastly, account for special goals or budget categories, such as upcoming vacations and holiday spending. It’s okay if you don’t have any specific savings goals at the moment. That just means you have more left over at the end of the month for other expenses. Once your expenses are set, set up direct deposit to your reloadable card such that you receive only the amount you need to cover them (plus a small cushion) each pay period. Direct the remainder to another destination, such as a savings account. If you find that you simply can’t cover your basic expenses with this level of funding, or that you have too much left over at the end of the period, you can adjust your deposit amount in future pay periods. Prepaid cards have twofold value for parents. First, they’re great for holding kids’ weekly or monthly allowances (and for older kids, the same principle applies to living expenses while away at college). Simply load each child’s allotted amount at a participating merchant’s register – which you can do while shopping – or transfer the balance from your own prepaid card. Secondly, and relatedly, prepaid cards have tremendous educational value. When you first give your child the card, let them know the weekly or monthly load amount and make clear how the card works (once they spend their allotted funds for the period, there’s no more money on the card). If they’re frugal and end the period with money still on the card, congratulate them and let it roll over. Talk about a nice introductory lesson on the joys of saving and the value of money. Many people use reloadable prepaid cards to save for special expenses, such as an upcoming vacation, holiday shopping, or a home improvement project. The best way to do this is to arrange direct deposit (a free load option with Visa Clear Prepaid) from your employer or other income source and figure out how much your total deposits amount to each month. Next, determine what you’re saving for, how much it costs, and your time-frame for reaching this goal. Then determine how much you need to save each month to meet this goal, and set that amount aside before making the rest of your monthly budget. Lastly – and this is a critical step – transfer those set-aside funds to a separate prepaid card. Repeat this transfer every month until reaching your goal. Note that special expenses are separate and distinct from your retirement savings, tuition and education savings, and emergency funds. It’s never a good idea to use these types of savings to fund specific, non-emergency savings goals, no matter how important they seem.